A lot has been happening in Kookaburra Creek lately. And for those of you not on Facebook, I’m here to share all the latest news with you. Final Cover and Blurb – the final-going-to-print-any-day-now cover complete with official blurb and tag lines has landed!! And I couldn’t be happier. The art dept at Penguin and my amazing publisher Kimberley have produced something quite special..
2. 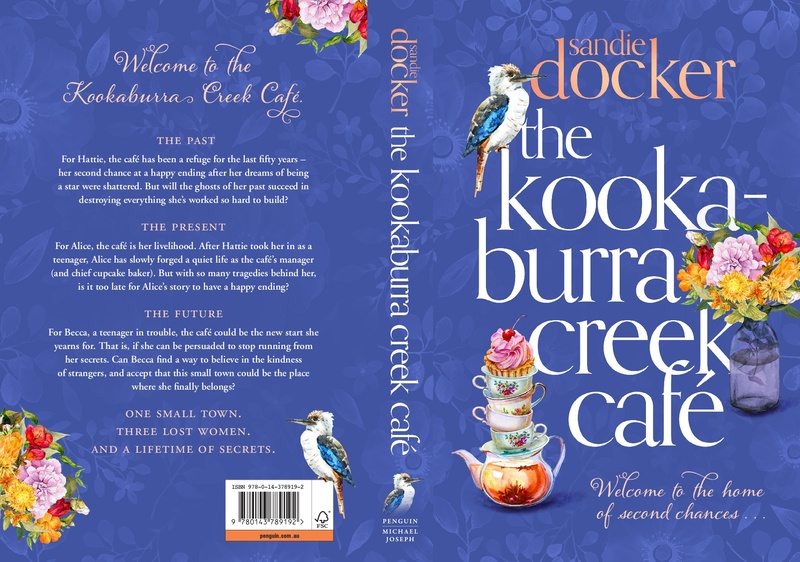 Pre-order now available – You can now pre-order The Kookaburra Creek Café. What does that mean? Well, for you it means that you don’t have to worry about getting to the shops and fighting the crowds, because if you pre-order it will be mailed on April 30th direct to your home (for print version), or delivered direct to your eReader (for ebook). No fuss. No drama. It also means you can do your Mother’s Day shopping now and be well ahead of the game! And for me, it means that my publisher gets a nice little heads-up that they made the right decision taking me on. Publishers LOVE pre-orders (like, seriously love them!! ), so if you are thinking about getting yourself a copy, please consider pre-ordering it. For Australian readers you can get print or ebook by clicking here at Booktopia. For International readers you can a print book by clicking here at Bookdepository – who have FREE world-wide shipping (love that). Ebook will be available at release date for international readers. Other retailers can be found here. 4. Sign up for my Very Important Reader (VIR) Newsletter. With things moving so fast and so much going on behind the scenes, a newsletter seems a great way to keep in touch. Newsletter subscribers will receive exclusive offers, and I promise not to bombard you. If you’d like to sign up to the VIR newsletter, you can do so here. If you’re on Facebook, I do share a lot of “everyday stuff” there so feel free to connect there too. 5. Tour Dates – I’ll shortly be finalising some tour dates where you can come and hear me waffle on about Hattie and Alice and Becca and all my friends in Kookaburra Creek. I’ll post the tour dates here on my new-look website once everything’s locked in, so do check back in a week or so. 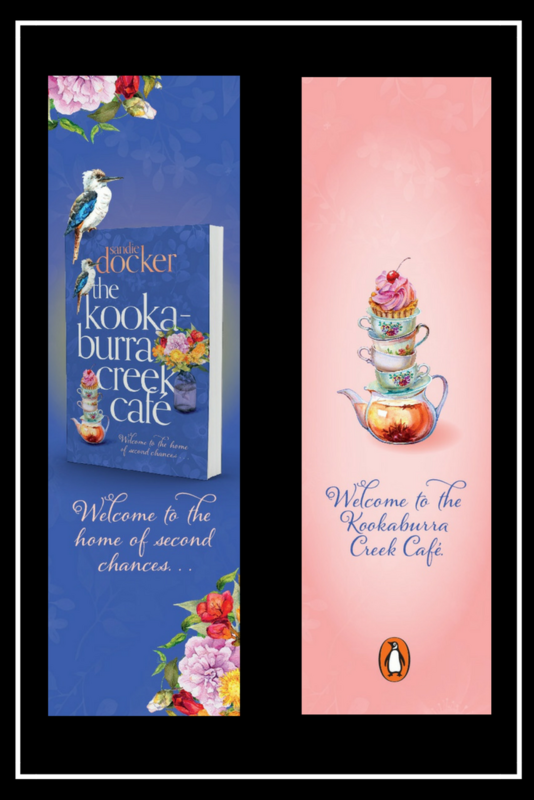 I haven’t shared this yet on Facebook, so exclusive for you guys – if you can get along to one of the author events on the tour, I’ll have one of these gorgeous bookmarks with me to give away to anyone who gets their book signed. Shhh…don’t tell too many people – we don’t want a stampede. Oh, actually, yes we do – TELL EVERYONE! Thanks for riding this crazy journey with me, everyone. Only 64 days to go till release!!! This entry was posted in Writing Journey on February 25, 2018 by sandiedocker. That’s what they tell me. Are you shocked so close, or shocked so far? Thanks so much Wendy 😊 Hope you enjoy it! Thanks Shelley. Who’da thunk when we met at the AWC night back then we’d both be published now!! !